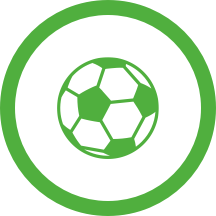 The Sporting Portugal - Santa Clara (Football - Liga NOS) match in 15/03/2019 16:30 is now complete. That's full-time at Jose Alvalade. The final score is 1 - 0. Manuel Antonio Rodrigues Oliveira will wait an extra 4 minutes before blowing the whistle to end the second half. Free kick for CD Santa Clara in the half of Sporting CP. Pablo Diogo of CD Santa Clara is pulled up for offside. CD Santa Clara's Patrick Vieira is back in action after a slight knock. The match has been stopped briefly for attention to the injured Patrick Vieira. Manuel Antonio Rodrigues Oliveira signals a free kick to Sporting CP in their own half. Ze Manuel for CD Santa Clara drives towards goal at Jose Alvalade. But the finish is unsuccessful. CD Santa Clara make their third substitution with Pablo Diogo replacing Guilherme Schettine. Manuel Antonio Rodrigues Oliveira signals a free kick to CD Santa Clara in their own half. Manuel Antonio Rodrigues Oliveira signals a free kick to Sporting CP. Sporting CP's Bruno Fernandes is on target but unsuccessful. 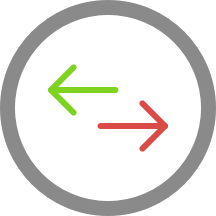 Marcel Keizer (Sporting CP) is making a second substitution, with Miguel Luis replacing Idrissa Doumbia. Sporting CP's Bas Dost gets in a shot on goal at Jose Alvalade. But the effort is unsuccessful. CD Santa Clara attack but Guilherme Schettine's header doesn't find the target. Goal kick for Sporting CP at Jose Alvalade. In Lisbon a free kick has been awarded the away team. Jeremy Mathieu (Sporting CP) has received a yellow card from Manuel Antonio Rodrigues Oliveira. 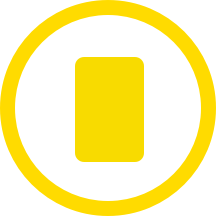 At Jose Alvalade, Idrissa Doumbia has been yellow-carded for the home team. Throw-in for CD Santa Clara at Jose Alvalade. The away team replace Martin Chrien with Ukra. Free kick for Sporting CP in the half of CD Santa Clara. Manuel Antonio Rodrigues Oliveira awards Sporting CP a goal kick. CD Santa Clara are pushing forward but Ze Manuel's finish is wide of the goal. Raphinha puts the ball in the net and the home team now lead 1 - 0. Bruno Fernandes instrumental with a fine assist. Ze Manuel is on a sub for Malick Evouna for CD Santa Clara. Marcel Keizer is making the team's first substitution at Jose Alvalade with Abdoulay Diaby replacing Cristian Borja. Manuel Antonio Rodrigues Oliveira signals a Sporting CP throw-in in Sporting CP's half. Sporting CP have been awarded a corner by Manuel Antonio Rodrigues Oliveira. Bruno Fernandes gets his shot on target but fails to score for Sporting CP. CD Santa Clara's Guilherme Schettine has run offside. CD Santa Clara's Fabio Cardoso gets in a shot but it is blocked by a Sporting CP defender. CD Santa Clara have been awarded a corner by Manuel Antonio Rodrigues Oliveira. Manuel Antonio Rodrigues Oliveira signals a throw-in for CD Santa Clara, close to CD Santa Clara's area. Important block from the CD Santa Clara defence as Jeremy Mathieu fires in a strike for Sporting CP. Sporting CP's Wendel has run offside. Sporting CP drive forward and Raphinha gets in a shot. Without netting, however. The second-half is underway at Jose Alvalade. Sporting CP's Bruno Fernandes breaks free at Jose Alvalade. But the strike goes wide of the post. Manuel Antonio Rodrigues Oliveira awards CD Santa Clara a goal kick. CD Santa Clara to take a throw-in in CD Santa Clara territory. CD Santa Clara's Guilherme Schettine gets his shot away but it misses the target. Manuel Antonio Rodrigues Oliveira signals a free kick to CD Santa Clara. In Lisbon Sporting CP drive forward through Wendel. His shot is on target but it's saved. Raphinha for Sporting CP is whistled offside. Sporting CP's Cristian Borja breaks free at Jose Alvalade. But the strike goes wide of the post. Raphinha of Sporting CP smashes in a shot on target. The keeper saves, though. Jeremy Mathieu for Sporting CP gets in a strike but fails to hit the target. Guilherme Schettine of CD Santa Clara is pulled up for offside. Martin Chrien (CD Santa Clara) goes close with a header but the ball is scrambled away by Sporting CP defenders. Sporting CP push forward through Marcos Acuna, whose finish on goal is saved. In Lisbon Sporting CP attack through Bruno Fernandes. The finish is off target, however. Bas Dost (Sporting CP) goes for goal but the shot is blocked by an alert defence. Can CD Santa Clara capitalize from this throw-in deep inside CD Santa Clara's half? Sporting CP drive forward but Stefan Ristovski is judged offside. Throw-in for Sporting CP at Jose Alvalade. Sporting CP surge into the attack at Jose Alvalade but Raphinha’s header is off-target. A total of 28129 spectators is reported.